Posted on Monday, April 20th, 2015. 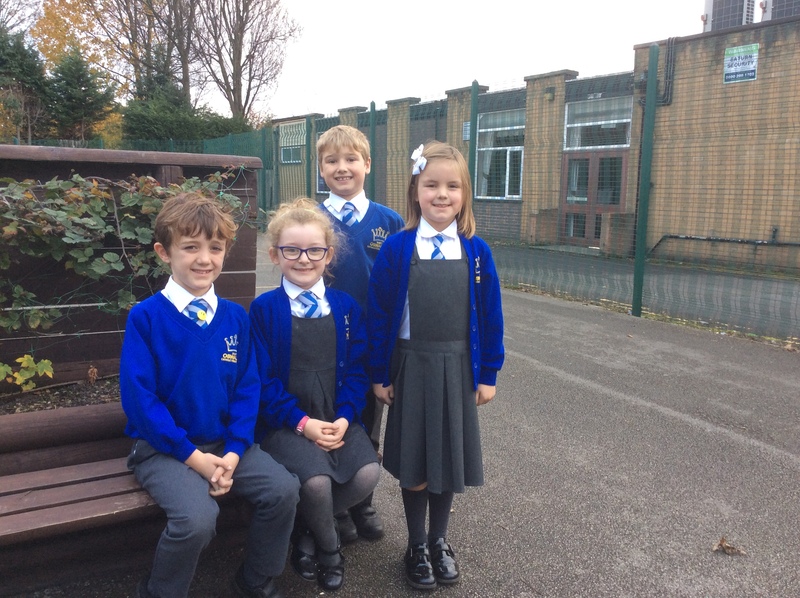 Welcome back to another busy term here at St Oswald’s. I trust you all had a lovely Easter holiday and feel refreshed and energised by the break, the good weather and the uplifting celebration of Easter. The school has been a busy place over the holidays with much work taking place on the school environment inside and outside. Ensuring that the environment is a safe, bright, comfortable, and stimulating learning place for the children is always a top priority for us. One area of our new School Improvement Plan is to raise standards of reading throughout the school. 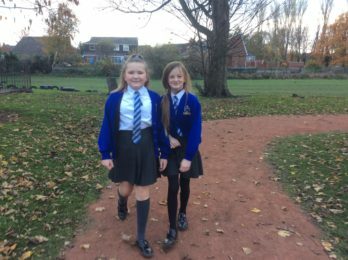 In addition to investing heavily in new books for the children and running new reading clubs for the children before school and during lunchtimes we are looking at ways to raise the profile of reading by taking reading out into our environment on the school playground and into the school garden. A new reading area is being created on the playground in addition to key words, book posters and quotes being displayed all around the playgrounds and school building which we hope will capture the children’s attention and interest. We hope that over the next few weeks you will see many changes happening around our school. Artist Natalie Brown will be in school next week working with Years 3, 4 and 5 this half term to help us in our reading environment work. We ask that the children in these classes bring in an old adult shirt which they can use as a protective art shirt for their Tuesday lessons. Next Tuesday it will be Year 3 & 4 who will be working with Natalie and the following Tuesday Year 5 will be spending the whole day working on reading art! The Grounds Maintenance team have been busy doing a garden tidy for us in the holidays and this week preparing the garden to be opened again this term. The school is also working with Mr Mullen and ‘Grow your Own Education’ over the next 12 weeks. Mr Mullen will be working closely with the children to plant up our vegetable garden with a range of produce. 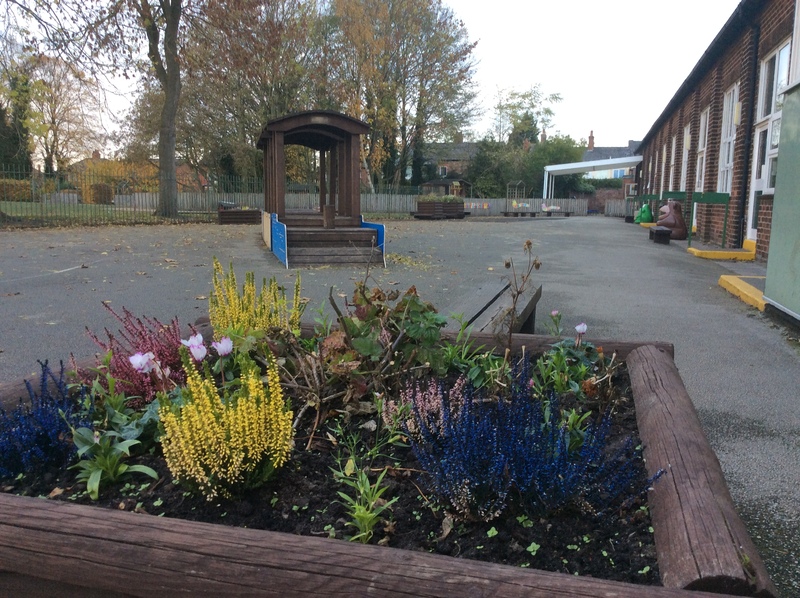 Every class will have their own vegetable bed and produce to grow and look after in addition to their own special flower bed on the playground. Mr Mullen is also working with our theme of reading in the environment to support our work. So the school really is a busy place…Watch this space for further developments…Till then Keep Reading!!! !